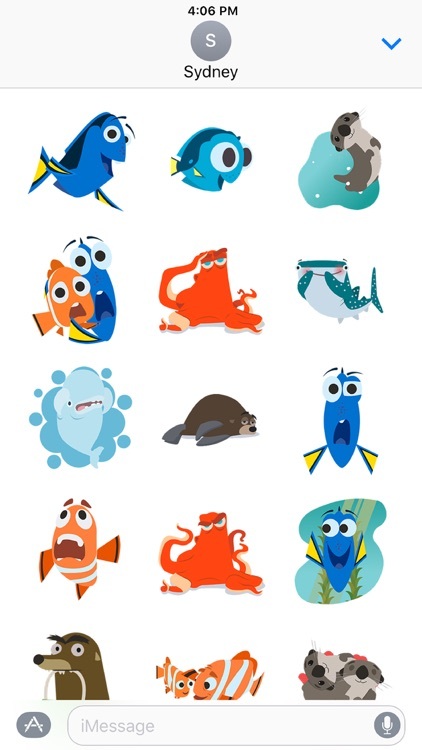 Impress your friends with the Finding Dory sticker pack that includes characters like Dory, Nemo, Hank, Bailey, and more. 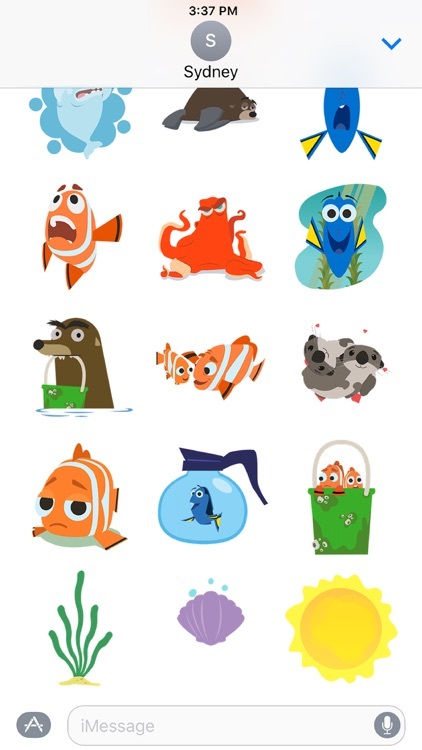 Disney Stickers: Finding Dory offers dynamic and animated creations that you can put anywhere in your chat. 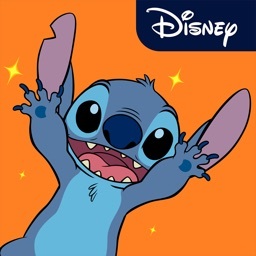 Scale, rotate and layer these stickers whenever you want. 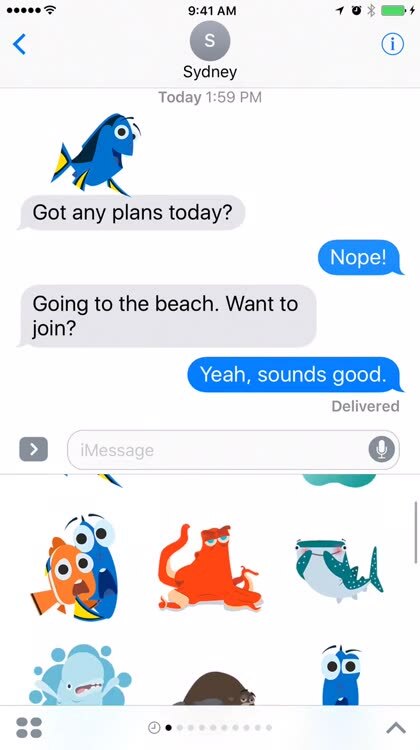 Are unimpressed with digital stickers packs. 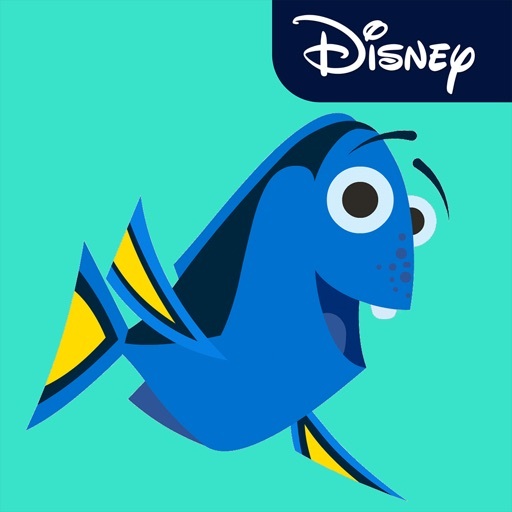 What's not to love about little Dory? 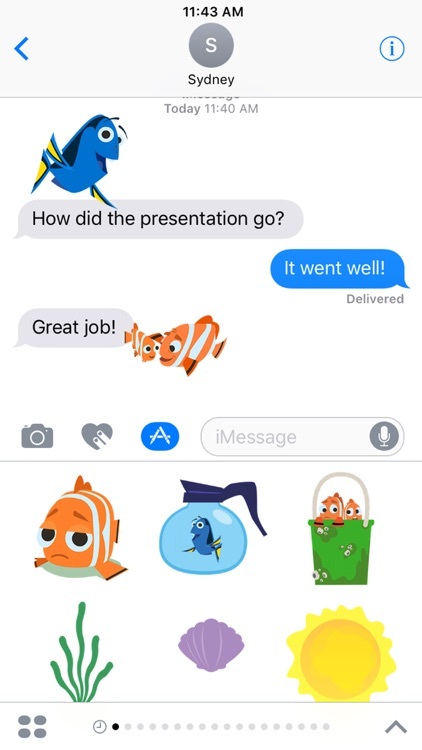 Dive in and make your iMessages unforgettable with this Finding Dory sticker pack that includes fin-tastic characters like Dory, Nemo, Hank, and Bailey. 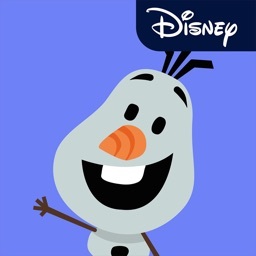 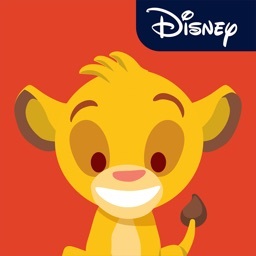 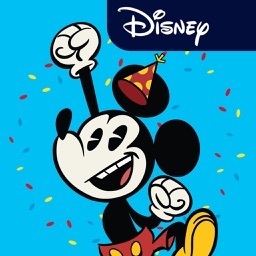 Express yourself in new ways with dynamic and animated Disney and Pixar Stickers you can put anywhere in your chat. 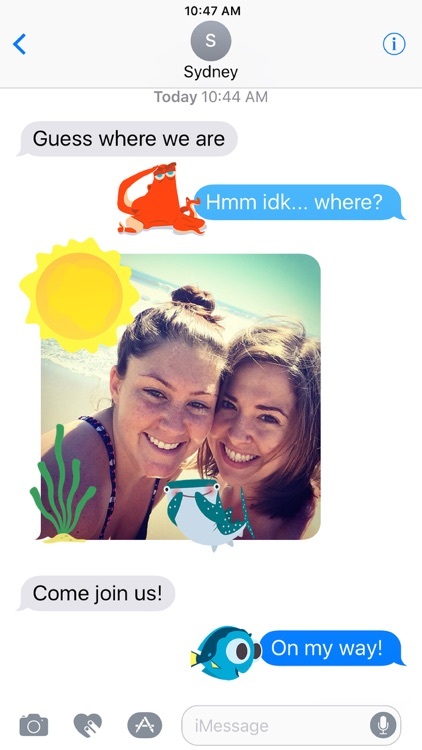 Scale, rotate, and layer stickers—even place them on photos you send and receive! 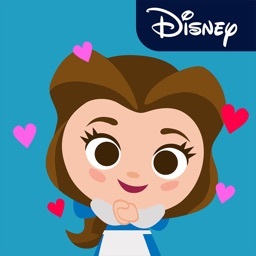 Discover all our sticker packs in the iMessage App Store including Disney's Beauty and the Beast, Pixar's Inside Out, and more. 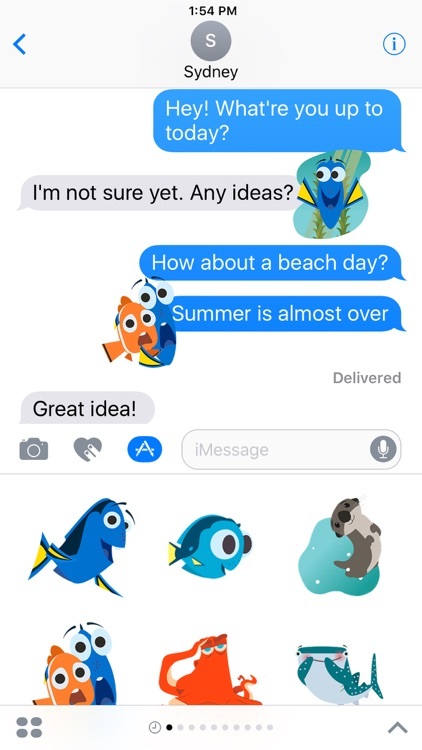 Use Disney and Pixar Stickers to add magic to your iMessages!